The Royal Scottish Country Dance Society was founded in 1923. Hence the recent 90th celebrations. The Society is our 'parent' or umbrella organisation. Glasgow played a significant role in the early stages of the formation of the Society. A Glasgow Herald announcement invited persons interested in "Scots Country Dances" to an inaugural meeting in Glasgow on 26 November 1923, where there was a strong representation from the city. The Glasgow Branch of the Scottish Country Dance Society ("Royal" was added in 1951) became separate soon afterwards, hence both have a 'founding' date of 1923. Some say 'Glasgow was the tree - the others were just the branches' ! Now there are many Branches in Scotland, the rest of the UK and all over the world, Europe, America, Canada, Australia and New Zealand. For more details on the early history of the Society and Glasgow Branch, see article written by Alastair MacFadyen. The Branches have members and organise their regional classes, dances and other events. Branch members are automatically members of the Society and as such are made welcome all over the world by other Branches. The Society maintains the standards by training teachers and providing assessment, organising summer schools and giving overall leadership for the promotion of Scottish Country Dancing and its music. During our 90th anniversary year in 2013, Patrick Murray collated photos from various sources. See Web LInks - Patrick's Sway. The photo opposite was taken in April 1958 in front of ~134,000 people at the home international at Hampden. Had they come to watch the dancing? More impressive than the England 4 nil win. See video (about 4 min in). 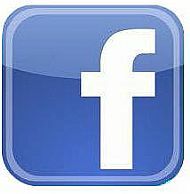 Keep in touch and add your items on our facebook page. Members are sent three interesting Newsletters per year, which give reports on events and details of future Branch activities. There is a yearly AGM in May for formal business, including any Motions from members. However members are welcome to ask for items to be raised at a Committee Meeting.